Integritas Search, LLC – 10 Years of Hot Action Recruiting! 10 Years of Hot Action Recruiting! From the desks of Team Integritas: Mike Niedbalski, Pete Owsianowski, Ryan Fitzpatrick, and Erika Staszewski…. OFFERING PROFESSIONAL TEMPORARY STAFFING AND DIRECT-HIRE SEARCH FOR OVER 10 YEARS! Call INTEGRITAS at 574-234-5854 to discuss current or upcoming needs. CHIEF FINANCIAL OFFICER – A Notre Dame graduate with a CPA and MBA, this candidate has strong local ties and wants to stay local in searching for a new financial leadership opportunity after 20+ years with current employer, which has now merged with another company. This candidate has strong strategic planning, regulatory compliance, bank relationships and financing, accounting and human resource systems (payroll and benefits oversight), internal audit processes (outsourced and in-house), risk management, and tax department oversight. Board and investor relations and all external dealings with outside CPA firms were also regular tasks. This Candidate is primed for a new challenge and open to either consulting or a new permanent role! CHIEF FINANCIAL OFFICER – (Available for temp.) A local CPA and experienced Controller / CFO professional with public accounting and service sector experience is in transition and looking to remain in the Michiana area. This candidate has an excellent reputation and is especially strong in multi-location financials, heavy analysis and reporting, mergers and acquisitions, oversight of human resource functions, and working strategically on an executive management team, including participating on sales efforts and travel. CONTROLLER / FP&A MANAGER – (Temp available) A CPA with heavy manufacturing experience in multiple industries with both corporate and division/plant experience. Candidate is currently in transition. Candidate has worked in SAP software and is very strong in Excel as well as Hyperion and Crystal Reports. Very consistent work ethic and integrity level! SENIOR ACCOUNTANT / ASSISTANT CONTROLLER – Available to quickly accept a temporary or direct-hire position in the Michiana area to accomplish goal of relocating from Indianapolis. Candidate is an MBA and also has a Masters in Accountancy. Supporting accounting function for large corporate accounting departments, including a Fortune 200 company, this candidate has significant account reconciliation nd financial reporting experience on systems including SAP, Lawson, Hyperion, and advanced Excel use. Eager to work and live in Michiana, this candidate would be an asset to any corporate accounting team! PUBLIC ACCOUNTING MANAGER SEEKING CONTROLLER OPPORTUNITY! – Always a great profile to hire, this candidate is a CPA with seven years of public accounting work on the audit side. Candidate seeking a more normal schedule with one company in private sector. Almost all client work has been with manufacturing clients, so experience has included work on inventory audits and being out in a plant environment. A South Bend based candidate looking to be within a half hour of home. Candidate has excellent Excel skills and a great personality! JURIS DOCTORATE, SENIOR PROJECT MANAGER – Possessing a very unique blend of credentials and skill sets, this candidate is seeking a change and can offer a lot as part of an executive management team, possibly working as a COO, Sr. Project Manager, or even CFO, depending on the structure of the support staff, as this candidate is not a traditional accountant but does have significant financial aptitude with budgets, reporting, and consolidations. A great find for any company in need of such skills! CONTROLLER – An Elkhart based candidate with an MBA and 15 years of experience, starting in public accounting, and since then supporting a wide range of vital accounting functions in a smaller manufacturing company, often working on time-sensitive projects for the owner. Candidate has demonstrated a track record of “getting the job done” with a high-energy, goal-focused style, now confidentially seeking a change into a bigger role, titles aside, a larger manufacturer in the Elkhart area would be the ideal fit. Strengths also include Excel and ERP optimization and upgrades of systems, procedures, and reporting methods! Candidate has experience with multiple ERP systems and has hands-on plant and cost accounting. ASSISTANT CONTROLLER / CONTROLLER – (Temp Available) Degreed accounting professional with 10 years of experience, starting in smaller CPA firms and then more recently in privately owned local companies in various industries; one company involved over 15 entities, doing all month-end and consolidation work, and supervising accounts payable and receivable, daily cash reconciliation, weekly and monthly reporting, fixed assets, sales and use tax, lease accounting and sales commissions, payroll, and human resource functions, including benefits. 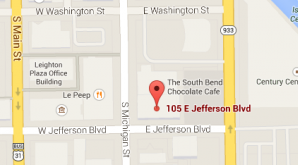 STAFF ACCOUNTANT – A South Bend based candidate confidentially seeking a change. Candidate has a unique blend of marketing and development experience before pursuing accounting credits and recent experience in public accounting and service sector for a locally owned business. A very bright and reliable professional who enjoys working and living in the South Bend community! Skill sets in accounting include financial consolidations and reporting for multiple business entities, month-end, accounts payable and receivable, bank reconciliations, and use of Excel alongside ERP systems. ADMINISTRATIVE ASSISTANT – Energetic, dependable individual with strong work ethic, organized and task oriented, with solid interpersonal skills and a great personality! This person would be great as an affordable administrative assistant. Has excellent communication skills and ability to interact with all levels and types of individuals. *We remain VERY active in Human Resource placement and other search work at the management and executive levels in manufacturing and the service and financial services areas! CALL INTEGRITAS AT 574-234-5854 TO DISCUSS CURRENT OR UPCOMING HIRING NEEDS, CONFIDENTIAL OR ACTIVE SEARCHES!